If you're looking for a traditional trail bike, you've come to the wrong place. Pack your stuff, say your goodbyes, and get out. But if you're on the hunt for the perfect shred sled—you know, a "trail bike" that you can take down DH trails, huck off blind drops, or plow through the rowdiest of rock gardens—you'll find yourself right at home on the Stumpjumper EVO Pro 29.
Who exactly is "EVO" for? EVO is for the shredders—the gnarliest trail riders who live for gravity riding. Big drops, huge kickers, rocks, roots—whatever you throw at it, the Stumpjumper EVO can handle it. EVO uses the same style-specific sizing that's featured the Demo. This sizing lets you choose the bike that fits the way you ride—not just by the seat tube measurement, like with most bikes—and it narrows things down to two sizes, S2 and S3. These are longer, lower, slacker, and have seat tube and head tube heights that allow you to choose the size that best suits your style and terrain. Spec'd with FOX FLOAT 36 Performance Elite fork with 150mm of travel along with its GRIP2 damper and 37mm offset! Fully equipped with SRAM's GX Eagle, 12-speed drivetrain (32t chainring and 11-50t cassette) arguably best set up and gearing ratios ever needed!. 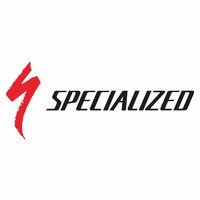 Specialized have also complemented this with SRAM Code RSC, 4-piston calliper, hydraulic disc for ultimate stopping power. We started the construction by creating our own mountain-specific stiffness test, and then we looked at the layout with Finite Element Analysis (FEA) to see where we could get the biggest stiffness improvements. This led to a big discovery: The Large and X-Large frames needed more front-end stiffness while the Smalls and Mediums were just fine. We were able to create a frame design that was 20% more efficient. And in the end, this proved to be one of the lightest trail frames on the market, today. We continued down the suspension path with a custom Rx Trail Tune at the rear shock. Suspension performance is highly dependent on frame, wheel, and rider size, so we use our Rx Tune to get each bike to land in the middle of the adjustment spectrum, and this gives you the biggest possible range to fine-tune your ride. Another focal point of the tune was matching the suspension characteristics between wheel sizes—we developed a specific Rx Tune for each platform. This way, you'll get perfectly linear suspension. We kept the "get gnarly" motto going with the build kit of the Stumpjumper EVO Pro, spec'ing it with Fox front and rear suspension, bomb-proof Roval Traverse Carbon wheels, and a 12-speed SRAM GX Eagle groupset. With its FACT 11m full carbon frame, 29 Trail EVO geometry, and 140mm of travel, the Stumpjumper EVO has been purpose-built to shred the most gravity-defying trails. The FOX FLOAT DHX2 Performance Elite rear shock keeps our coveted Rx Trail Tune, while giving you the coil-shock big-hit performance that you know and love. A FOX 36 Perfomance Elite fork handles suspension duties up front, with stiff stanchions and plenty of adjustability.